P. Hilton from Natural Choice. For more information on candida overgrowth symptoms, (also known as Candidiasis; Candida dysbiosis; or simply Candida) click here. 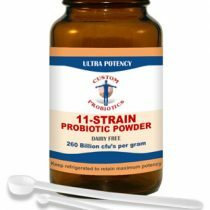 We have been helping people successfully deal with Candida overgrowth for 12 years. “This is the only supplement that did not slay me with die-off. I recommend it to anyone who has suffered for years.” Jill Moore, North Island, New Zealand. Candigest Plus has been tried and trusted for natural yeast management for more than 15 years. Recommended by Jennifer Harper-Deacon (MSc ND MRN CNHC DipCH MURHP DCHA CMIR DThD MBRCP) a qualified naturopathic physician, nutritionist, herbalist, acupuncturist, iridologist and healer in the Times Sunday Supplement. 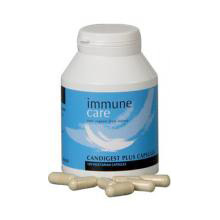 Candigest Plus contains seven powerful key enzymes. Two of these break down the fungal organism cell wall, much like a chitin inhibitor. Four of these digest the carbohydrates on which the candida feeds. In effect, the candida is starved. The seventh enzyme – Protease – is the secret weapon that no other anti-fungal product has. It can digest the protein nucleus of the candida organism to remove it entirely from the body. It is this enzyme that deals with the die off symptoms usually given by anti fungal drugs. Candida cannot become resistant to Candigest Plus so its effects are lasting. 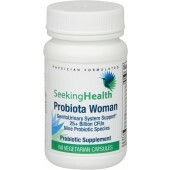 Strong probiotic supplements and subtle dietary changes will support natural yeast management. The producers of Candigest Plus recommend this seven-point action plan. For more details and personal advice, call 02089016477. Take one capsule per day for three days; then two per day for three days; three a day for three days and finish up on four a day which is the normal dose. Each dose to be taken with a large glass of tepid water, on an empty stomach (at least half an hour before food or at least two hours after food). Where multiple capsules are taken, split the dose into two, i.e. two capsules in the morning, two capsules at night. If you are sensitive to medications and supplements, then reduce this dosage by at least half. We do not recommend taking enzyme formulations in cases of Gastritis; Ulcerative Colitis; Crohn’s; Diverticulitis, or where there is ulceration in the digestive tract. Remember if you would like to talk to an Advisor about any of our products, you can call 0044 (0)208 901 6477 to make an appointment for a telephone consultation.